The Pirate Bay, the torrent site that has attracted millions of users by sharing a wealth of (often illegal) content, is now at a turning point. With a $3.8 million fine dangling around the neck of the owners and a fresh $7.8 million acquisition by Global Gaming Factory X, announced this morning, the site is about to embrace a legal business model. How well will this work? According to some users, at least, it won't work at all. Take this comment posted on the site's blog by Mith0s: "I'd say this is the death of The Pirate Bay, if they want to make PirateBay a legit place [...]. That is done by removing all the illegal files (90%+ of the torrents?) And this will make most people go away too." And here's why: The Pirate Bay (TPB) has more than 6 million registered users, many of whom have a very good reason to keep returning to the site. TPB users regularly share multimedia content that would be otherwise impossible (or very hard) to get legally. A prime example: The X-Men Origins: Wolverine movie, which was available online almost a month before the release in theaters worldwide (albeit the copy was not a final edit). TPB users also regularly record and re-encoding popular U.S. TV shows such as Prison Break, Lost, and Heroes (just to name a few) and make them available to fans around the world only hours after they have been broadcast on U.S. channels. Illegal music (in MP3 format mainly) and recordings from films in cinemas only are available on TPB. Illegal software and games, electronic books, magazines, and music videos are also part of TPB offerings. And despite the pending $3.8m fine, The Pirate Bay site is still in full operation. But, soon, Hollywood will be able to sigh in relief. Global Gaming Factory (GGF) X said, in a statement announcing the acquisition (PDF Link), that it plans to launch new business models that allow compensations to the content providers and copyright owners. The TPB acquisition deal is to be closed in August. Indeed, there is a big business opportunity for GGF here from the TPB acquisition, as the site has more than 6 million registered users and scores massive amounts of traffic (almost 15 million unique visitors in the last 24 hours). But asking money for the content on TPB will outrage its users and will quickly bring the popular site on its knees. However, with such high volumes of traffic, GGF could generate revenue from advertising on the site. But it's unlikely that this money would cover the charges incurred from selling highly desirable copyrighted material, and that's if the site could get permission to offer the material at all. 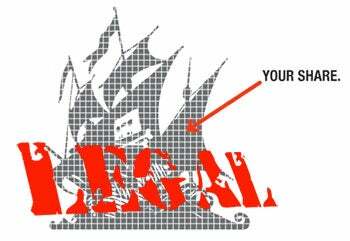 If all or most of the copyrighted material on The Pirate Bay (approximately 90 percent of the total files shared) disappears, so, too, will most of the people using the site. And although The Pirate Bay is the largest torrent tracker out there, other similar sites such as Mininova or ISOHunt (to name a few), could quickly acquire TPB's user base.